Before we dive in, it's important to note that preparing for an IRS Tax Audit does not mean that you have done anything wrong. Nonetheless, notification of a tax audit is something every taxpayer should be prepared for. Gather all your records: Be sure to have ALL pertinent documents together in one place that will substantiate any deductions or exemptions you claimed on your returns. Generally, the IRS is happy to receive digital copies of records. If you do not have all your records, duplicates can usually be obtained from financial institutions and vendors. Be aware that this takes time, therefore, you should get started as soon as you are notified of the tax audit. If you have a business, you should review your bank statements and compare them to your tax returns to make sure that you reported all of your income. You should have tax returns for at least the past three years. Research: You should make use of IRS publications that explain the procedure for audits, your rights as a taxpayer, the appeals process, and more. Keep in mind though, that IRS publications do not always represent all the nuances of the law, and that the IRS is not required to follow its own publications. Get professional help: If you haven't already acquired the aid of a tax professional, now is the time to do so. A tax lawyer is a good idea if there is a large amount of money involved, particularly if your audit has been prompted by any questionable reporting on your part, or that of your preparer. Do not volunteer information that you are not asked for: Cooperation with your auditors is expected, but DO NOT offer anything more than what you are asked for. You may be providing information that leads to additional questions and taxes due. 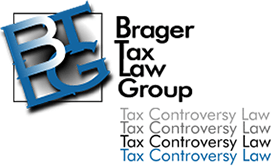 This is another good reason to have a tax litigation attorney in your corner. Buy some time: It is usually possible to get additional time for preparation. However, if you request more than 30 days, the request is unlikely to be granted depending on the circumstances and reasons you need more time. An audit may be by phone, in the field at your business or home, or at an IRS office. This is typically decided by the IRS based upon the complexity of your case; although you can request a change--it will not be routinely granted. Before your first meeting with the IRS, you should find out what items on your return the IRS is interested in so you can prepare accordingly. If the issue warrants retaining legal help, you should consult with a tax law firm with experience in dealing with the IRS and preparing for an IRS tax audit as soon as possible.